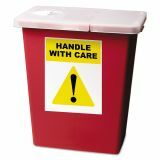 Identify property, communicate safety and warning messages and display bar codes. 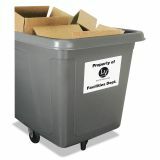 TrueBlock® Technology - guaranteed to completely cover everything underneath so you can re-identify items! 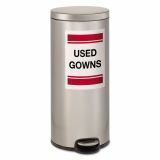 Moisture-, scuff-, tear-, smudge-resistant polyester with extra-aggressive adhesive to stay permanently attached. 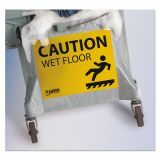 Ideal in extreme temperatures, high-traffic areas. 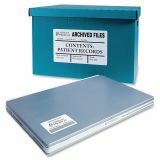 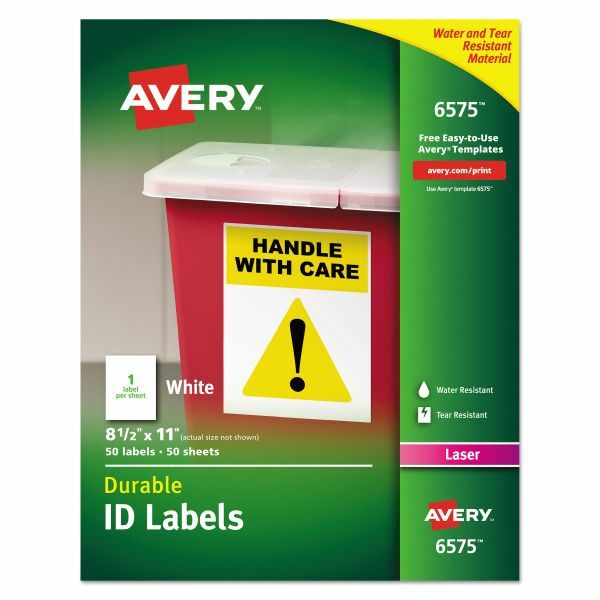 Avery Permanent ID Labels w/TrueBlock Technology, Laser, 8 1/2 x 11, White, 50/Pack - Make it easy to identify the contents of boxes and bins, mark equipment and property, or create signage in the workplace with Durable ID Labels. 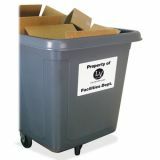 With TrueBlock Technology, labels cover up what's underneath so you can easily reuse boxes or relabel surfaces. 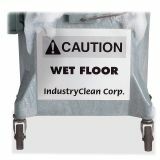 These sturdy polyester labels stand up to frequent use and resist moisture, scuffing, tearing and smudging. 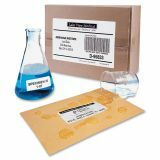 The permanent adhesive sticks to a variety of surfaces, including paper, glass, plastic and metal. 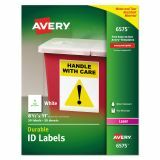 Labels are ideal for identifying ownership of property, organizing storage areas and marking large containers at work, home and school. 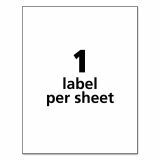 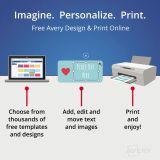 Labels are easy to customize with free online templates and designs and compatible with laser printers.